At Keane we have provided unclaimed property services for over 65 years.  As unclaimed property reporting & consulting specialists, we have developed an extensive library of informative resources designed to educate companies of the complexities of state escheatment and compliance. You can use the search tools below to locate valuable information for you and your organization.